A. Pool, Donato, Minx, Brown & Pool, P.C. J. Richardson, Tomsche, Sonnesyn & Tomsche, P.A. B. Hull, Overturf, McGath & Hull P.C. The Professional Liability Defense Federation™ is a not-for-profit organization designed to bring together attorneys, claims professionals and risk management specialists to share expertise and information helpful to the successful defense of professional liability claims. Malpractice claims affecting different professions often present common procedural rule and substantive law elements. Although standard of care evidence differs among the professions, skills learned in the defense of one profession are often transferable to others. PLDF’s goal is to harness this expertise in one organization devoted solely to improving the management and defense of professional liability claims. To accomplish its mission PLDF publishes the journal Professional Liability Defense Quarterly, sponsors an annual meeting offering valuable law development seminars and member connection opportunities, offers amicus support in important appellate proceedings, produces news summaries of national malpractice case developments, and facilitates confidential communications among members. 2019 marks PLDF’s 10th anniversary serving the professional liability community. We have made great strides since our founding and are excited this year to celebrate at our Annual Meeting. 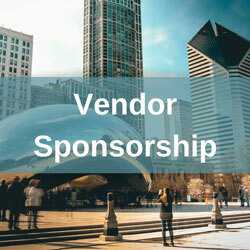 Please consider supporting this fun event with a firm or vendor sponsorship. Click on the photos below to learn more about the opportunities available. Click on "Sponsor Opportunities" under "About" on the menu bar above. Click on "Amicus Support" under "Resources" on the menu bar above.